MSTRKRFT (pronounced Master-craft) is the pet project from Toronto, Ontario, Canada of musician Jesse F. Keeler (Death From Above 1979) and studio wizard Al-P (Girlsareshort). ?It all comes down to feel,? states AL-P. ?We're interested in making people feel like they want to dance, at least a little bit, so it's all about whatever it takes to get people there.? Formed in 2005, the pair has been collaborating, on and off, since 1998. ?It all comes down to feel,? states AL-P. ?We're interested in making people feel like they want to dance, at least a little bit, so it's all about whatever it takes to get people there.? Formed in 2005, the pair has been collaborating, on and off, since 1998. Though they went separate routes ? Jesse taking a brief break from music, and Al moving to New York where he worked at studios like Sound on sound and Chung King recording artists as diverse as Jay-Z, Wyclef Jean, and David Clayton Thomas ? the friends remained in contact, trading tapes of their individual, unreleased forays into dance music. This studio success naturally led to Al's being at the helm early in 2002 when Jesse was looking for fresh production ideas to compliment his band, Death From Above 1979. Jesse and Al worked 15 hours a day in the studio together to complete DFA 79's ?You're a Woman, I'm a Machine?, a red-hot masterpiece that fuses the energy of rock and roll with the oomph of disco that received rave reviews and spawned hit singles like ?Romantic Rights,? and ?Black History Month.? It also gave rise to Jesse and Al's resolve to start their own project. Enter MSTRKRFT, a package of house, hip-hop, grime, punk, and all kinds of electronic experimentation rolled into one. In a little over a year they have developed a cult following of dance fans around the world and have remixed just about everyone including The Kills, Annie and Wolfmother's track ?Woman? for which they have been nominated for a Grammy for Best Remix. ?I love DJing so much,? enthuses JFK. ?It's so emotionally rewarding to see a room full of people dancing. That's better than any experience I've ever had.? With two feet firmly planted in punk rock's influential past, and two in dance music's future, MSTRKRFT are the now of now, wow. MSTRKRFT's The Looks, was released on Last Gang records in North America and on Modular in Australia and the United Kingdom. 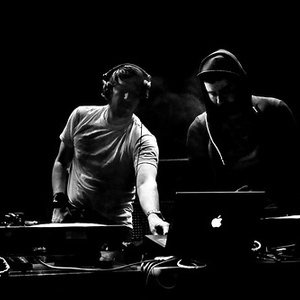 MSTRKRFT recently (December 2, 2007) played along with Ratatat, Jay-Jay Johanson, Claude VonStroke and Bj&ouml;rk in the Sonofilia festival in Guadalajara, Mexico.